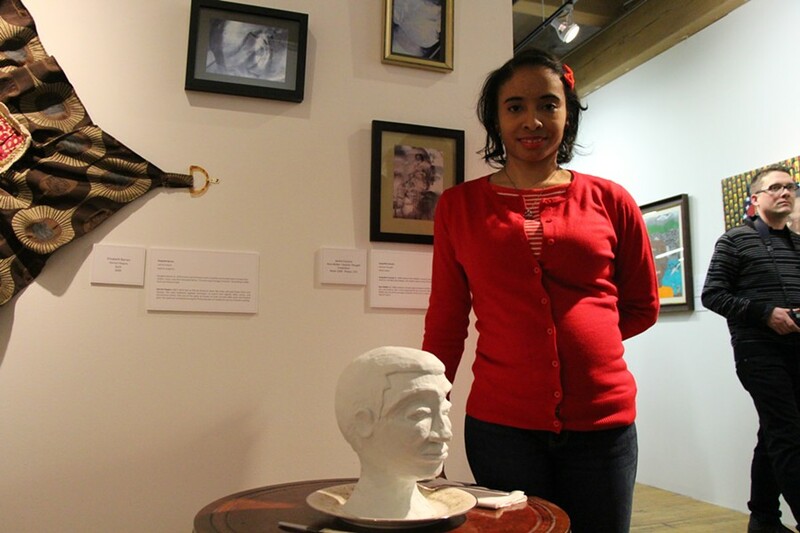 Coinciding with Black History Month, the arts nonprofit Project Onward hosted the opening of its new exhibition, "Distinct Portraits by disAbled Artists," last Friday at the Bridgeport Art Center. 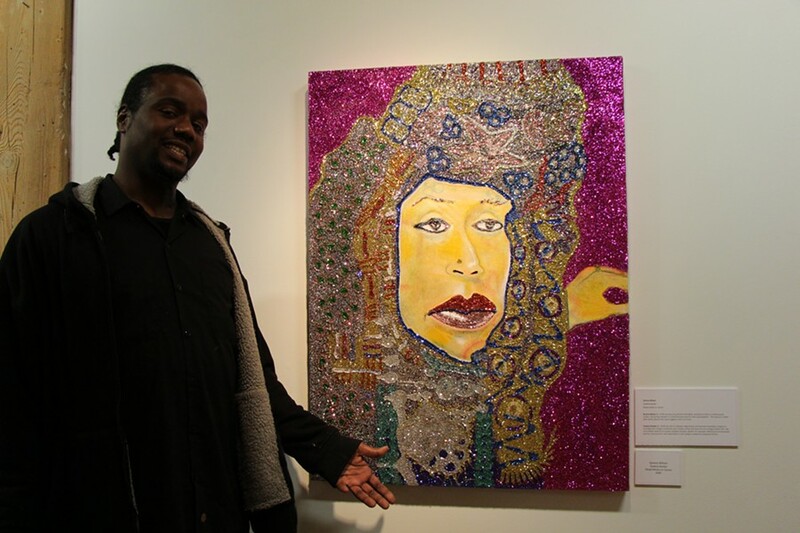 The exhibition showcased portraits of esteemed African-American artists by Project Onward sculptors, painters, and even glitter artists. 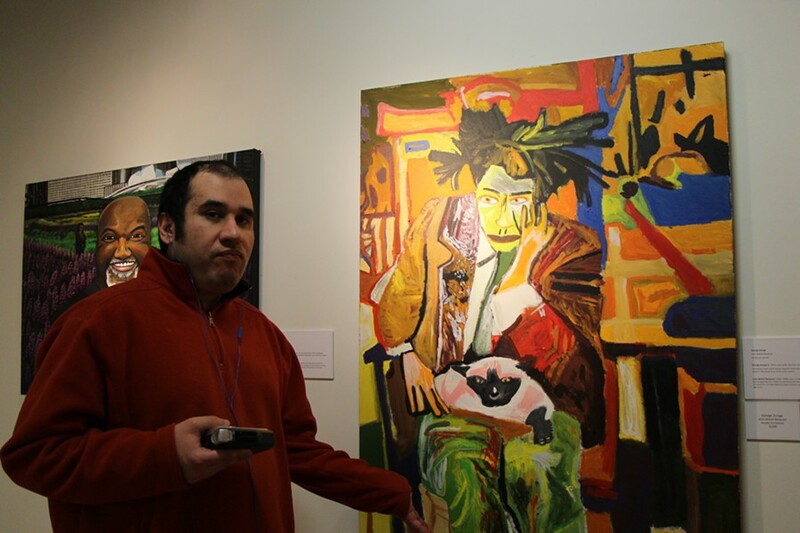 Founded in 2004, Project Onward works with mentally or developmentally disabled artists to provide professional guidance and opportunities to help advance their careers. For the current exhibition, the studio paired their artists-in-residence with African-American artists that matched their artistic styles. 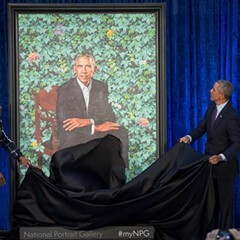 The finished works include a sculpture bust of Kara Walker, paintings of Jean-Michel Basquiat, and an oil-on-canvas of Kehinde Wiley, best known for his recent presidential portrait of former President Barack Obama. “What better way for our artists to get inspired than to have them honor their artistic predecessors and also their contemporary artists?” asked executive director Nancy Gomez. 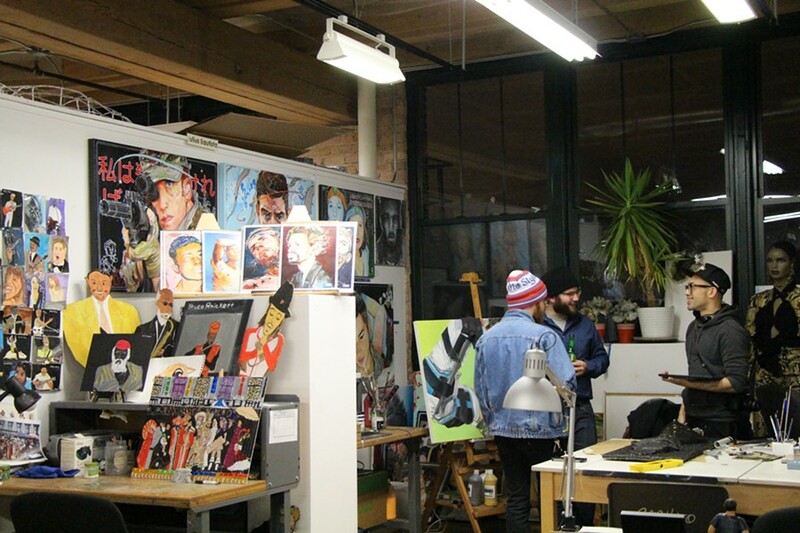 In their fourth floor art space—half gallery, half studio—artists and guests mingled perusing racks of painted album covers, charcoal still lifes, and aluminum foil creatures. Some artists proudly stood near their featured art in the showroom, while others were at work on new pieces in the studio. 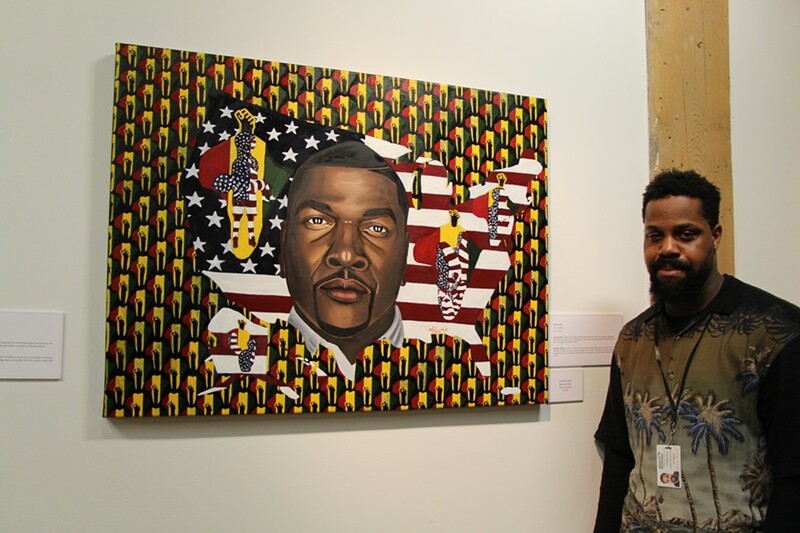 Also in attendance was Cook County Board President Toni Preckwinkle and Chicago artist Faheem Majeed. “Our artists, like their contemporary artists, are just as capable of performing artwork that can go into a museum,” said Gomez. 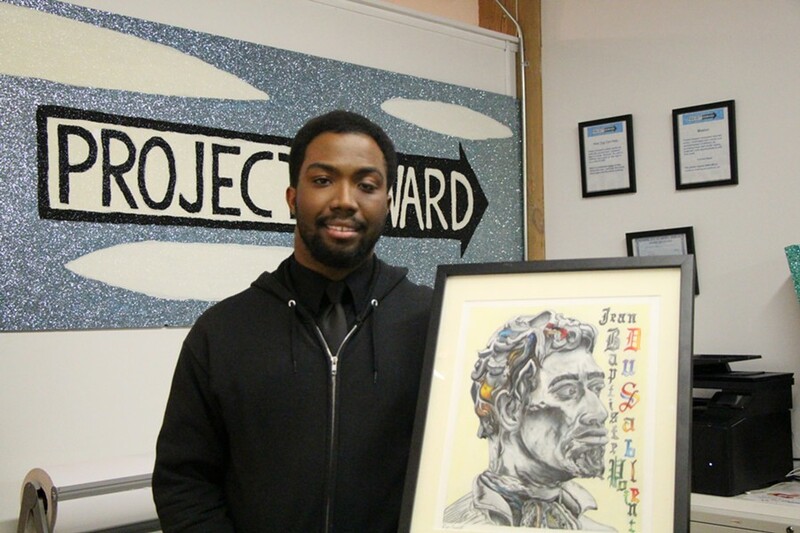 Here are are a few Project Onward artists with their portraits of their artistic forebears. Dijon Barrett on Erik Blome's bust of Jean Baptiste Point DuSable: "I chose this picture of the sculpture of DuSable because it's a little bit challenging, so I could just take my time doing my work." Jacqueline Cousins on Carol Walker: "She does a lot of artwork that has to do with race, identity, sexual culture, violence and slavery. That's what she has her art relate to. So she's not only a feminine artist, but she's a painter, a writer, she's a filmmaker." George Zuniga on Jean-Michel Basquiat: "This is my rendition of Basquiat. He was painting back in the 80s. He was born in New York City and he became a graffiti artist in the late 1970s. His main mediums are painting and drawing. . . . I haven't painted for a few years. Twelve years. I didn't know I would do this painting for him, as a tribute for him." Andrew Hall on Kehinde Wiley: "When I got the commission, I said, 'I have a great idea for this guy.' I said I'm going to focus more on color because I wanted everything to be more color coated than flat-out plain. 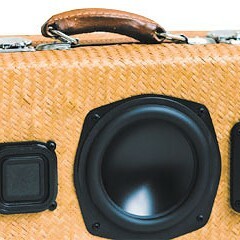 That's where I got the idea for the yellow. . . . I started using the African colors. The black represents the color of the people, the red the blood, the green for land, and the yellow is like the pan-African." Sereno Wilson (known as Glitterman) on Chakaia Booker: "We had a Black History Month event and they suggested I do her. I said, 'No problem.'" "Distinct Portraits by disAbled Artists." 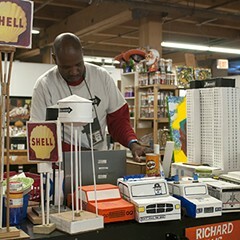 Through 3/30: Mon-Sat 8 AM-6 PM, Sun 8 AM-noon, Bridgeport Art Center, 1200 W. 35th, 773-843-9000, bridgeportart.com, free.